Movie-goers in Bahrain are in for complete new viewing experiences at the IMAX theatre and the Novo 7-Star at Seef Mall Muharraq, which opened recently. Launched by Emirati company Novo Cinemas, the IMAX theatre features a floor-to-ceiling curved screen, 342 specialised seats for maximum comfort, and advanced sound systems. 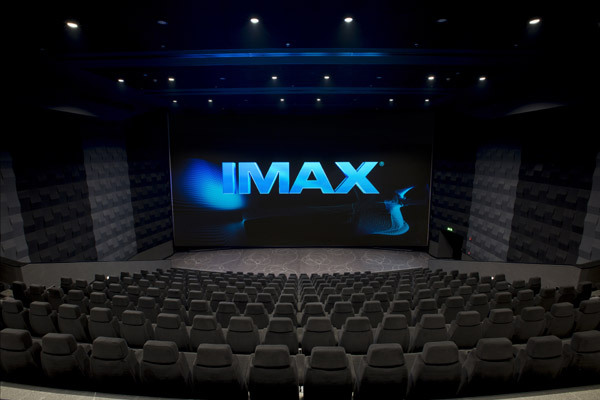 IMAX is the world's most immersive big-screen experience with patented image and sound technology, and theatre geometry. Novo Cinemas, which made its debut in Bahrain on July 30, features 14 screens and a capacity of over 1,300 seats. Adding to its list of first-of-a-kind, Novo Cinemas has also introduced a seven-star theatre experience. Complete with cosy pillows and blankets, the NOVO 7-STAR features reclining leather seats and individual iPads for easy ordering as well as a dedicated chef and butler service. In order to maintain the luxurious viewing experience, children below 18 years are not permitted to the NOVO 7-STAR. Novo Cinemas will be host to a packed calendar of fun activities, as well as serving as Bahrain's new entertainment venue for private and corporate screenings and events. “Novo Cinemas enjoys a long legacy of innovation and pioneering technologies in the region, and we are thrilled to be launching our flagship at the exciting new shopping and entertainment destination, Seef Mall Muharraq. We look forward to welcoming a new and passionate community of movie-goers for A Great Time Out,” Novo Cinemas CEO Debbie Stanford-Kristiansen said in a statement. Invested in its mission to transform the movie-going experience across the local communities, Novo Cinemas continues its expansion across the Middle East. Launch plans are also underway this year for Novo multiplexes in Doha's North Gate Mall and 01 Mall, and Dubai's Dragon Mart. Plans have previously been revealed for multiplexes in Dubai's IMG Worlds of Adventure, the world's largest indoor theme park, and Wafi Mall, both locations boasting cutting-edge IMAX Laser theatres. These, in addition to multiple agreements soon to be announced, bring the Novo Cinemas chain to over 200 screens and the Novo IMAX network to six – by far the largest in the region on both counts. Opening week promises a thrilling slate of blockbuster movies, including the highly anticipated action adventure Ant-Man (IMAX 3D), the return of Arnold Schwarzenegger in Terminator Genisys (IMAX 3D), family entertainment with the Minions, the best of Bollywood in Bajrangi Bhaijaan, and Arabic comedy with Mohammed Saad in Hayati Mobahdalah. Silver screen fans can catch the latest action-packed Mission: Impossible - Rogue Nation at the special screening at IMAX on Wednesday (August 5).